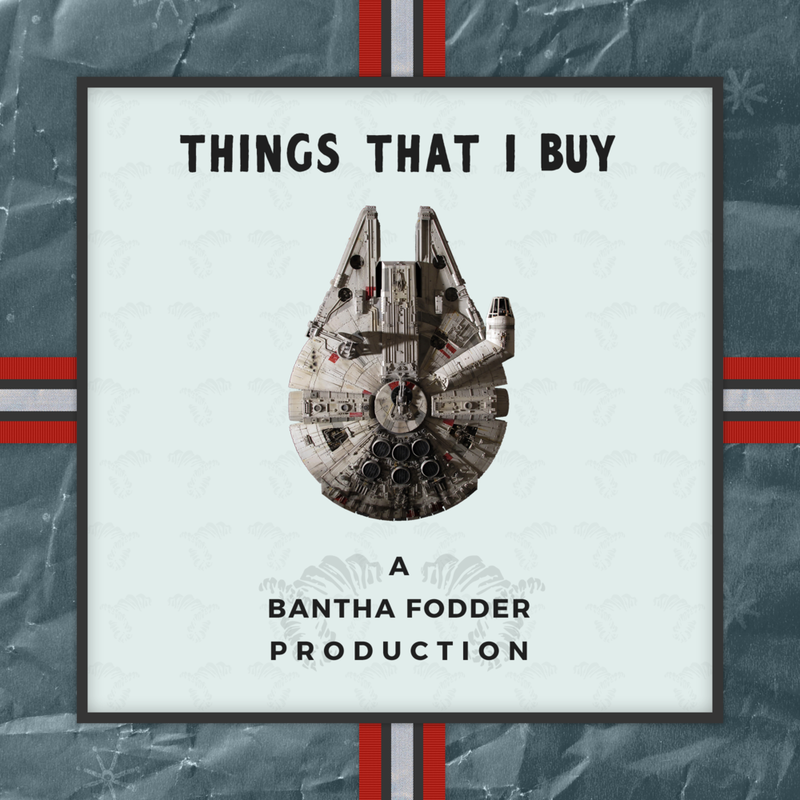 "Things That I Buy" Is a holiday song about a father who cares too much... about the wrong things. It is a parody of Mike's song "Things That Happen" which is found on his 2012 EP Keep in Touch, the same album which led to Mike and Jacob becoming friends in the first place. The track was written by Jacob Tender and performed and produced by Mike Comite. "Things That Happen" was written by Mike Comite and is available for sale here. "The Night After Jedha" is a holiday poem inspired by two patrons of Chalmun's Cantina in Mos Eisley, Tantooine. You can listen and read a full transcript here. The track was written and performed by Jacob Tender and produced and scored by Mike Comite. It debuted as episode 15 of the show. "Rebellious Landino" is the single debut of Bantha Fodder. Inspired by Donald Glover (aka Childish Gambino) and his casting as Lando Calrissian in an upcoming Star Wars anthology movie about his old buddy Han Solo. The track was written and performed by Jacob Tender and produced by Mike Comite. The song debuted in episode 14 of the show.